The Prince Edward Island Provincial Nominee Program (PEIPNP) is designed to allow the Government of Prince Edward Island to facilitate and accelerate applications for permanent residency for those candidates who fulfil the government's criteria for making a positive impact on the province's economy and society in general. Applicants who meet these criteria may be nominated to Immigration, Refugees and Citizenship Canada (IRCC) as suitable candidates for permanent residency. The IRCC has the final decision over the granting of permanent residency visas. There are three categories from which to choose when applying to the PEIPNP, each of which has its own particular streams, as detailed below. It's important to note that any person applying for refugee status in Canada, is appealing the rejection of a claim for refugee status or contesting any order removing them from Canada is not eligible to apply for the PEIPNP. This stream is for businesspeople who wish to begin or take over a business in Prince Edward Island which they will have a prominent role in managing day-to-day. A refundable deposit of $200,000 is required for applicants to this stream, to be refunded after certain residency and performance requirements are met. Applicants must be able to demonstrate a personal net worth of $600,000, be educated to at least a high school or equivalent level, be between 21 and 59 years of age and be able to demonstrate previous management and business experience. Applicants should have proficiency in English or French to band 4 on IELTS. The applicant should show that they are planning to establish or takeover running 100% of a business and that they are planning to invest a minimum of $150,000 into said business. Preference will be given to those who are planning to run export orientated businesses, agriculture, fisheries or forestry businesses, businesses which help rural communities and those in the bioscience, information technology, aerospace and renewable energy sectors. The partial ownership stream is for business people who wish to take over 33.3% or more of an existing Prince Edward Island business. Applicants must fulfil all the criteria as described above for the 100% Ownership Stream: the only exception is that applicants must make a minimum investment of $150,000 to purchase a minimum of 33.3% of voting shares or make a minimum investment of $1 million (if the latter then the requirement to purchase 33.3% of shares is waived). This stream is for applicants who have a job offer from a Prince Edward Island business for a permanent (or at least minimum of two years) full-time position. The position must fall into the Canadian National Occupational skill levels 0, A or B. If the applicant is currently employed in Prince Edward Island they must have a valid work permit; if they live abroad they must have legal status in their country of residence. The applicant must be between 21 and 59 years of age and have attained a degree or diploma from a post secondary education establishment which took at least two years of full-time study. The applicant must have a proficiency in English or French which matches level 4 on the Canadian Language Proficiency Index, or have a suitable declaration from the employer that her/his language skills are sufficient for the job, or have qualifications or evidence of training from language learning institutions. The applicant must demonstrate that they have sufficient funds to pay for all costs of immigration and settlement in Prince Edward Island for themselves and for their dependents. The applicant must further demonstrate that s/he is intending permanently to settle in Prince Edward Island. The job offered by the employer must have a salary which matches similar positions in comparable industries, must not be involved in ongoing employment disputes or break collective-bargaining terms and the employer must show that it has been impossible to find suitable Canadian citizens or permanent residents to fill the vacancy. This stream is for applicants who have already been working for their employer for a minimum of six months in a job which comes under Canadian National Occupational skill levels C or D and falls into one of the following categories: truck driver, customer service representative, labourer, food and beverage server or housekeeping attendant. The applicant must have a job offer which is permanent or at least for a minimum of two years, the job offer must be full-time and the applicant must have a valid work permit. The applicant must be between 21 and 59 years of age, educated to a minimum of high school level or equivalent and have had at least two years of full-time work experience, or been undertaking two years of relevant education, within the previous five years. The applicant must have passed the Canadian Language Benchmark tests for listening, reading, writing and speaking up to a minimum of level 4 within the previous two years. The applicant must demonstrate that they have sufficient funds to pay for all costs of emigration and settlement in Prince Edward Island for themselves and for their dependents. 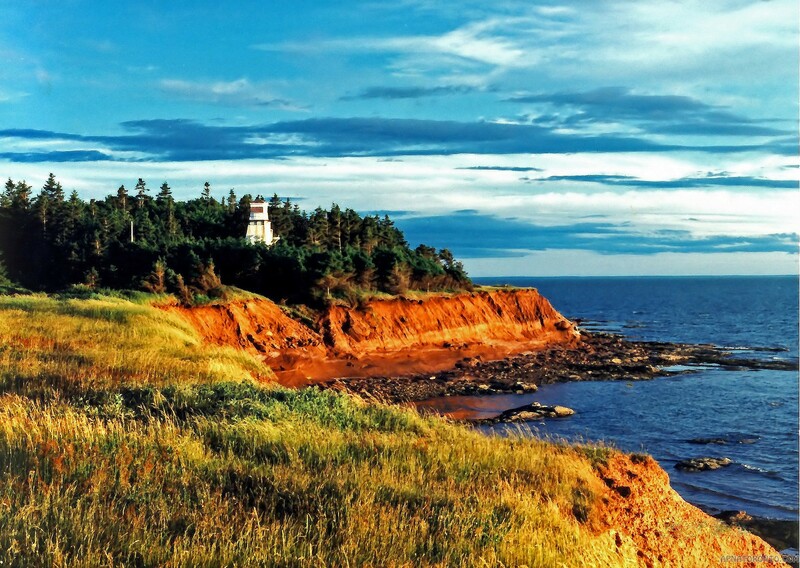 The applicant must further demonstrate that s/he is intending permanently to settle in Prince Edward Island. The job offered by the employer must have a salary that matches similar positions in comparable industries, must not be involved in ongoing employment disputes or break collective-bargaining terms and the employer must show that it has been impossible to find suitable Canadian citizens or permanent residents to fill the vacancy. This stream is for international graduates who have been given the offer of a full-time permanent position related to their field of study by a Prince Edward Island employer. The position must fall into National Occupational Classification skill levels 0, A or B, and the graduate must have been working for at least six months for the employer on a valid postgraduate work permit. The applicant must be between 21 and 55 years of age and have completed a minimum of a two year diploma or degree via full-time study at a recognised Prince Edward Island university or college. The applicant must not have graduated more than two years previously. Applicants must have a genuine intention to take up permanent residency in Prince Edward Island and must have sufficient funds for both themselves and their dependents to enable them to settle in the province. The job offered by the employer must have a salary that matches similar positions in comparable industries, must not be involved in ongoing employment disputes or break collective bargaining. Applicants via this route should apply to the IRCC Express Entry scheme. If you fulfil the criteria to be accepted into the Express Entry pool (this will be based on your education, age, experience, adaptability etc) your profile will be held by the IRCC for all Canadian provinces to view. If you would like particularly to be considered for immigration into Prince Edward Island you should inform the authorities of your interest via this form: http://www.gov.pe.ca/forms/pdf/2889.pdf - your profile will then be considered. Please note that the 2016 Express Entry allocation for Prince Edward Island is now full, though applications are still being reviewed for immigration in 2017.